October 5, 2018 – The Santa Fe College Teaching Zoo is looking for artists who want to submit decorated pumpkins for their pumpkin carving contest. 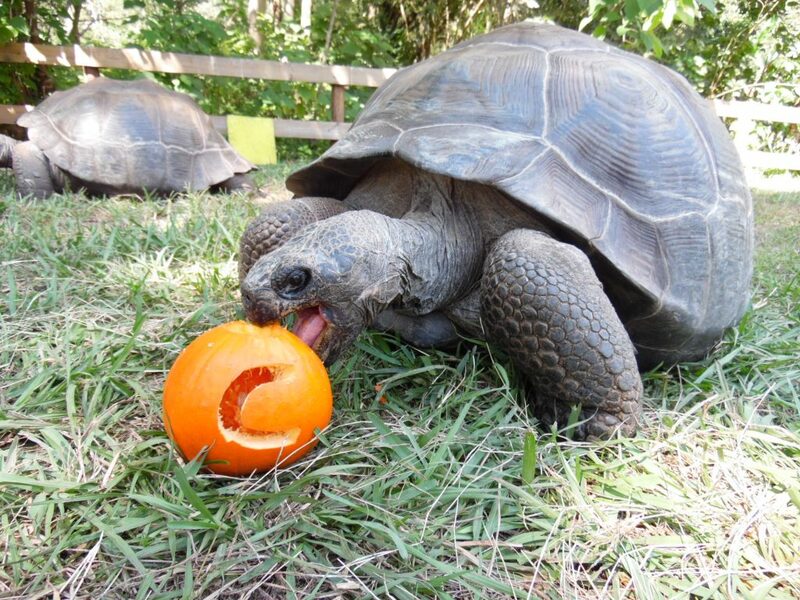 Represent your department and help decorate the zoo’s pumpkin patch. Bring your family-friendly decorated pumpkin to the zoo Tuesday, Oct. 30, by 3 p.m. and your pumpkin will become a part of Boo at the Zoo! The winner receives an encounter with our Galapagos Tortoises! For more information, contact Christina Arnold at christina.arnold@sfcollege.edu or 352-395-5603.